The federal financial regulatory agencies have agreed to publish proposed rules that implement the proprietary trading and private fund sponsorship and investment prohibitions of the Dodd-Frank Act's Volcker Rule. Several of the participating agencies have already published the proposed rules for public comment. 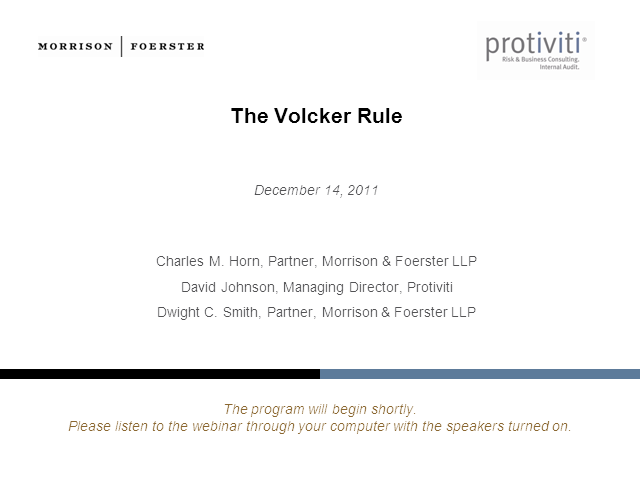 In addition to applying the basic restrictions of the Volcker Rule to covered banking entities, the proposed rules would create a number of significant regulatory compliance, corporate governance and reporting obligations for affected financial institutions. o What is proprietary trading?